Picture driving around Oregon in a stylish compact SUV that can handle all of your driving needs with ease. 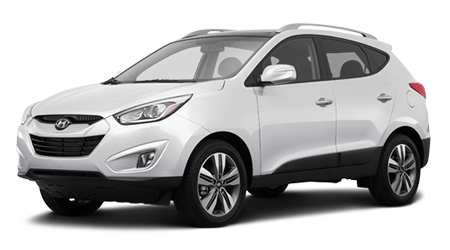 At Butler Hyundai in Medford, OR we have the perfect vehicle for you to use every day – the 2015 Hyundai Tucson. With its stylish exterior, spacious interior and extensive warranty, the new Tucson is one of the best compact SUVs on the market today. Butler Hyundai is one of Oregon’s top-ranked Hyundai dealerships and can get you an incredible price on a new Hyundai near the Medford Metro Area, Grants Pass, and Klamath Falls, OR. Visit our for a delightful car-buying experience and check out the Tucson today. The compact SUV segment is booming with competition, so let’s see how the 2015 Hyundai Tucson does against the Honda CR-V. There are a lot of benefits to owning a compact SUV, one of which is great fuel economy. 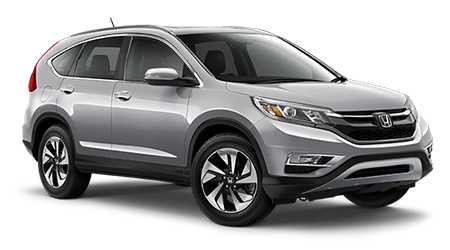 The CR-V has a 2.4L inline-four, which is mated to a CVT and can get 27/34 mpg (city/hwy). On the other hand, the Tucson is equipped with a 2.0L inline-four that is matched to a six-speed automatic transmission and can return 23/39 mpg (city/hwy). If you plan to use your compact SUV to commute to work in, the Tucson’s better highway fuel economy will save you hundreds of dollars in fuel. Hyundai packs their cars with one of the best warranties on the road today. While the CR-V has a 3-yr./36,000-mile new vehicle warranty, the Tucson’s basic warranty lasts 5-yr./60,000-mile. The Tucson’s powertrain warranty runs for 10-yr./100,000-miles, which is 5-yr./40,000-miles longer than the CR-V’s. Other warranty features on the Tucson include a 7-yr./unlimited-mile anti-perforation warranty and a 5-yr./unlimited-mile roadside assistance. The 2015 Hyundai Tucson is a compact SUV that excels at being used every day. When comparing the Tucson to the Honda CR-V, the Hyundai has the upper hand with its fuel-efficient engine, price tag that undercuts the competition and a comprehensive warranty. Stop by Butler Hyundai in Medford, OR from anywhere in the Medford Metro Area, Grants Pass, and Klamath Falls, OR areas and test drive the new Tucson today.